This lamp is extremely similar to the Woodlawn Lamp except that it has been reduced in length. 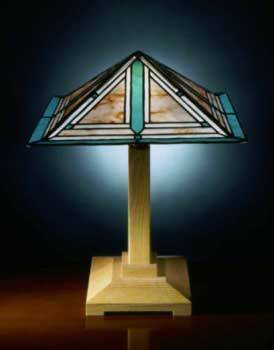 It uses the two end panels of the Woodlawn lamp on all four sides. The panels are flat and are assembled with copper foil.